The latest in caregiving legislation, research, news, and more. The much anticipated National Academies of Sciences, Engineering, and Medicine report, Families Caring for an Aging America, has been published. If you have not seen a copy—to read online or print out—visit the National Academies Press here . Almost two years in development, led by a panel of caregiving experts with hours of testimony from around the country, this report will set the pace for continued policy and practice across the country in the coming years. FCA will be commenting on some of the highlights in future communications. But for now, those who deliver or develop programs and policies should take a read and use the recommendations as building blocks for the future. This bill authorizes the Attorney General to provide a grant to assist Federal, State, tribal, and local law enforcement agencies in the rapid recovery of missing children, older adults, and disabled persons. This bill offers a $250 payment in the event that no cost-of-living adjustment is payable in a calendar year for seniors, veterans, and people with disabilities who receive Social Security and other Federal benefits. This bill amends title XVIII of the Social Security Act to establish a demonstration program to provide integrated care for Medicare beneficiaries with end-stage renal disease, and for other purposes. This bill amends title XVIII of the Social Security Act to provide comprehensive cancer patient treatment education under the Medicare program and to provide for research to improve cancer symptom management. This bill amends title XVIII of the Social Security Act to require the use of electronic visit verification systems for home health services under the Medicare program. This NPR feature presents political reporter Danielle Kurtzleben’s perspective about the childcare and paid family policy proposals of the major presidential candidates. She describes how the movement to provide better paid leave and other family-friendly policies that include elder care has been gaining momentum, partly due to females receiving better pay and voting more than males. Kurtzleben also notes that females are increasingly becoming single mothers, the breadwinners in their families, and very well educated. Additionally, the conversation is slowly becoming less gendered, partly since millennial men are more open to caring for others and want their families to have these types of policies. This bill requires state and local law enforcement agencies to provide, without charging a fee, one copy of all elder abuse incident report face sheets and one copy of all elder abuse incident reports to a victim of elder abuse as defined, or to his or her personal representative as defined, upon request. This bill orders that the committee on Elder Affairs be authorized to study bills before the state legislature regarding issues such as (1) strengthening the Massachusetts home care program, (2) promoting elder citizen quality case management services, (3) assisted living residences, and (4) establishing a registry for home care workers. This bill authorizes the Division of Medical Assistance to include dentures, restorative, endodontic and periodontal treatment within its covered services for certain persons ages 65 and older. This bill includes all disabled veterans in the New Jersey Transit discount program for senior citizens and persons with disabilities. This bill requires the Departments of Children and Families and Human Services to jointly study predatory alienation and its effects on young adults and older adults. This bill amends the Tax Reform Code of 1971 to provide for a caregiver tax credit. This article, published in the Journal of Alzheimer’s Disease & Parkinsonism, presents the findings of a 12-month randomized clinical trial to examine the effect of a physical activity intervention on caregiver health. Caregivers were randomly assigned to the physical activity treatment group or to a caregiver skill-building control group as part of the trial; results were measured by adherence to moderate to vigorous physical activity and function. The study found that the intervention significantly increased physical activity among caregivers and improved their physical function. Caregivers under the intervention also maintained the stability of their caregiving hours and formal service use, as in the control group. A press release from the United Hospital Fund highlights the findings of a new report, “It All Falls on Me”: Family Caregiver Perspectives on Medication Management, Wound Care, and Video Instruction. The study findings summarize key themes from six discussion groups with diverse family caregivers in New York, who reported feeling unprepared for the complex medical and nursing tasks that they were expected to perform at home for their family member. Findings of interest include that: family caregivers were resourceful out of necessity and learned how to solve problems that no one had warned them about; managing medications is a common problem; caregivers who were responsible for wound care felt particularly unprepared; and many caregivers reported a lack of coordination among health care professionals. According to Kaiser Health News, a new study reports that elderly Americans’ well-being will be at risk unless the United States does more to help millions of family caregivers who sacrifice their own health, finances, and personal lives to care for loved ones. For instance, the study findings show that people who help family members with three or more personal tasks a day devote 253 hours a month to caregiving—almost the equivalent of two full-time jobs. Moreover, lost wages and benefits average more than $300,000 over the lifetimes of people 50+ who stop working to care for a parent. The report also notes the social and physical toll of caregiving, in addition to these economic costs, and emphasizes the importance of moving policy along all of these dimensions of burden to family caregivers. Published in the Occupational Therapy Commons, this paper provides background, philosophy, and program development strategies used for Sundance, a community-based dementia care program in Portland, Oregon. This program is an innovative extension of existing adult day services designed to serve individuals with later-stage dementia who demonstrate challenging behaviors and live in the community with a family caregiver. Programming includes evidence informed person-centered care using nonpharmacologic strategies and sensory-based interventions. This article from Forbes describes the results of a recent study that surveyed long-term care workers to examine outcomes such as job strain, burnout, job satisfaction, work/family conflict, and psychological distress. The findings demonstrate that long-term care workers experience a great deal of strain on the job, as well as high rates of burnout, work-to-family conflict, and psychological distress in response to the demands of their work. Researchers argue that the sad state of long-term care workers’ jobs is a national problem—one that is likely to grow as America ages and the need for care increases. According to this NPR piece, scientists are now wondering whether Americans are approaching the end of the shift toward longer, healthier lives as the steady decline in heart disease is fading (this trend was driven largely by a huge reduction in heart disease). While major gains in the fight against heart disease were made in the mid-20th century due to management of risk factors and improved medical care, declining rates of cardiovascular death are stagnating because of widespread obesity. Also, even if medical science can hold the line against heart disease, dementia is another threat to the trend of Americans living longer and healthier lives than the generations who came before them. This NPR article showcases the debate about doll therapy, which is used at nursing homes and other senior facilities across the country to help ease anxiety among residents with dementia, who can experience personality changes, agitation, and aggression as a result of their condition. This therapy is controversial, though. While supporters argue that the dolls can reduce distress among those living with dementia, improve communication with caretakers, and limit the need for psychotropic medication, critics believe the dolls are demeaning and infantilize the seniors. The former say the dolls help engage elderly people who are no longer able to participate in many activities. The latter argue that brain games which promote critical thinking and art/music therapy are better alternatives that do not negatively affect residents’ sense of dignity. The Doctor Is In. In Your House, That Is. According to the New York Times, there is growing evidence that comprehensive home medical care could be a viable alternative to the challenges and expense of institutional health services, especially for those in late retirement. The article notes that important legislative changes will need to occur before focused and less intrusive care in a dignified, comfortable setting can become more widely available. In particular, the popularity of Medicare and a new renaissance in home care offer a window for ensuring that Congress can push through reform in the form of a new home medical care benefit. Until October 28, 2016, the Elizabeth Dole Foundation is accepting applications for its 2017 class of Dole Caregiver Fellows, which provides those caring for wounded, ill, and injured service members and veterans the opportunity to advise national leaders through the Foundation's network of public, private, and nonprofit organizations. Dole Caregiver Fellows also serve as spokespeople for their peers, elevating the nation's awareness of the contributions and struggles of the 5.5 million Americans caring for someone who has served. FCA, with support from The Rosalinde and Arthur Gilbert Foundation, is pleased to oversee the 9th annual Rosalinde Gilbert Innovations in Alzheimer's Disease Caregiving Legacy Awards Program, which will be accepting applications until Monday, October 10, 5 p.m. (Pacific Time). 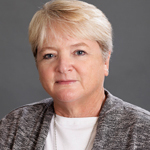 The program promotes strengthening caregiving for people with Alzheimer's disease and encouraging innovation in this field by both recognizing and rewarding the efforts of those who lead the way in addressing the needs of Alzheimer's disease caregivers. One $20,000 award will be given in each of the following categories: Creative Expression, Diverse/Multicultural Communities, and Policy and Advocacy. View FCA’s online scrapbook of past Caregiving Legacy Award winners 2008–2015. The SCAN Foundation, through its Linkage Lab Initiative, offers a suite of resources for CBOs seeking partnerships with the health care sector. Resources include case studies from the first cohort of Linkage Lab grantees (including information about their key objectives and strategies, successes, challenges, and lessons learned), free online learning modules for CBOs to build leadership and management capacity, and perspectives from Dr. Bruce Chernof on the importance of forming effective health care/CBO partnerships. If you shop on Amazon please consider supporting FCA through AmazonSmile. Amazon will donate to FCA based on your purchase. 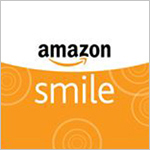 All you need to do is use the following link when you shop: smile.amazon.com/ch/94-2687079 .